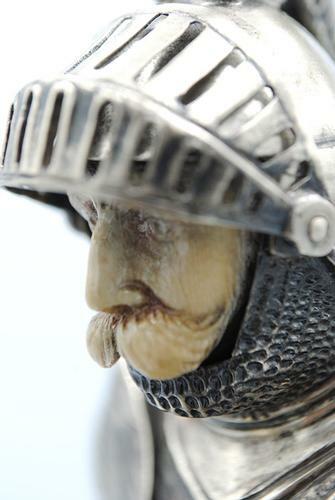 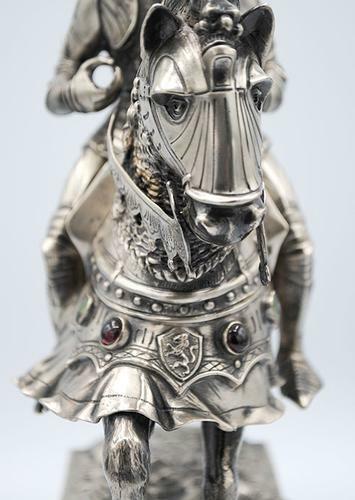 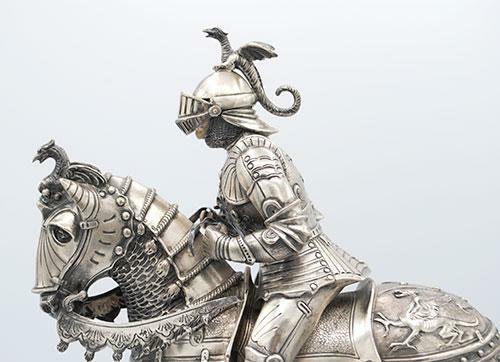 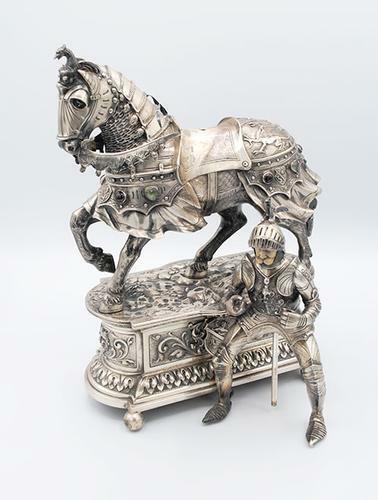 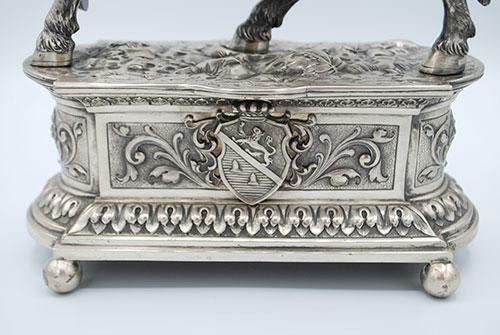 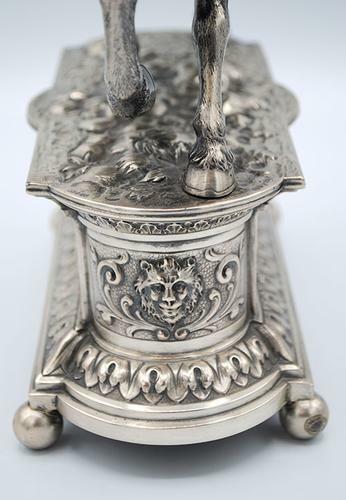 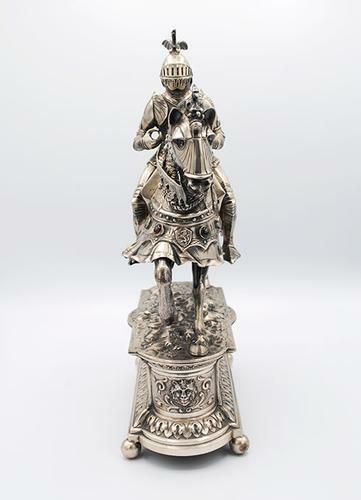 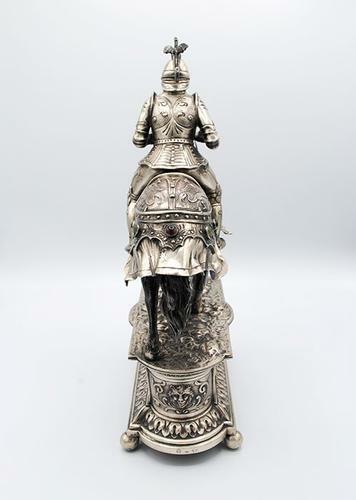 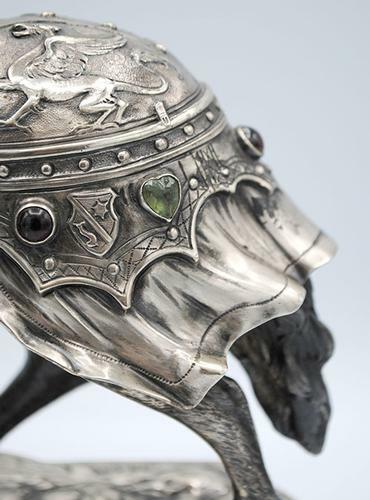 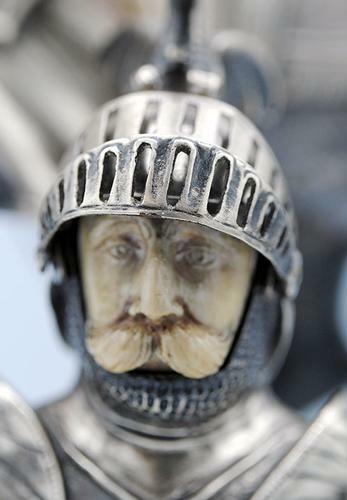 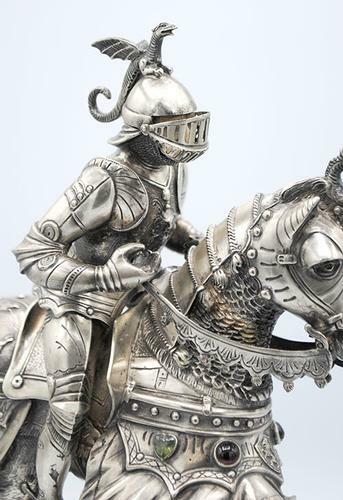 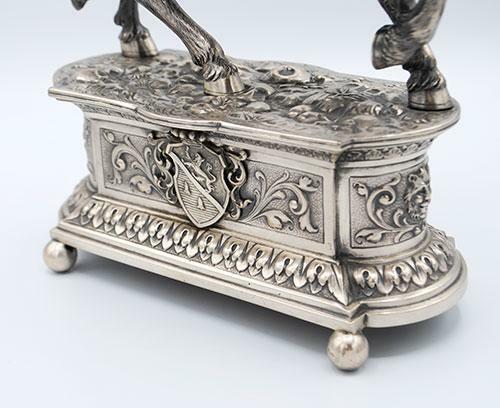 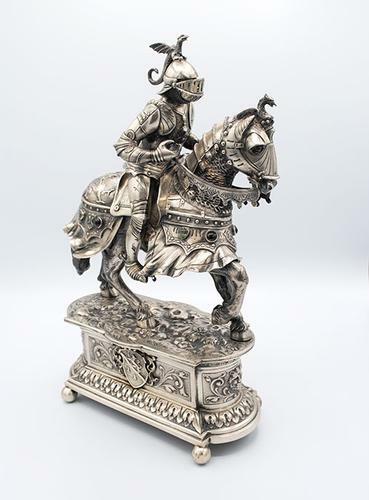 Phenomenal detail 1920's German silver knight on a horse with precious stones. 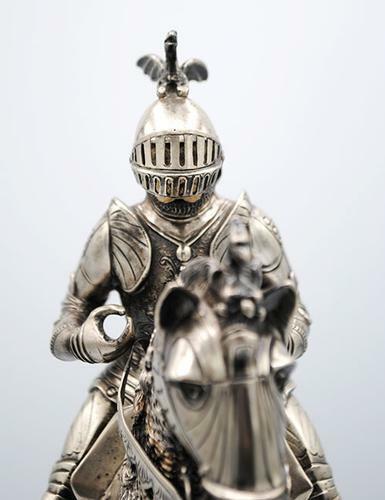 Please note the overall detail and craftsmanship on this antique rare collectible. 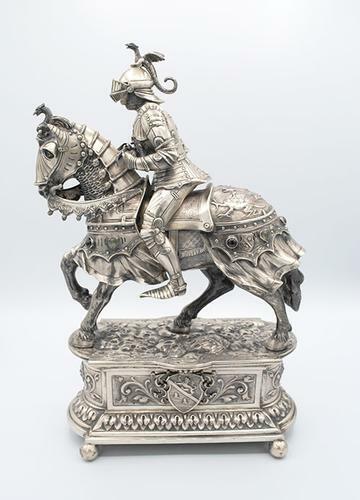 Weighs approximately 1580 grams. 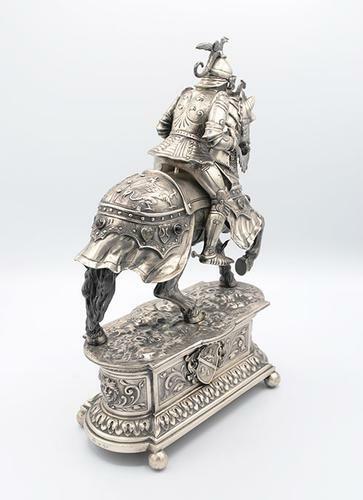 Also, note that the knight is able to be taken off the horse for shipping purpose. 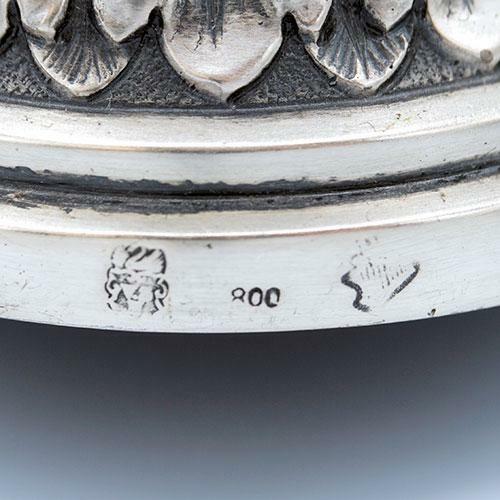 Stamped 800.